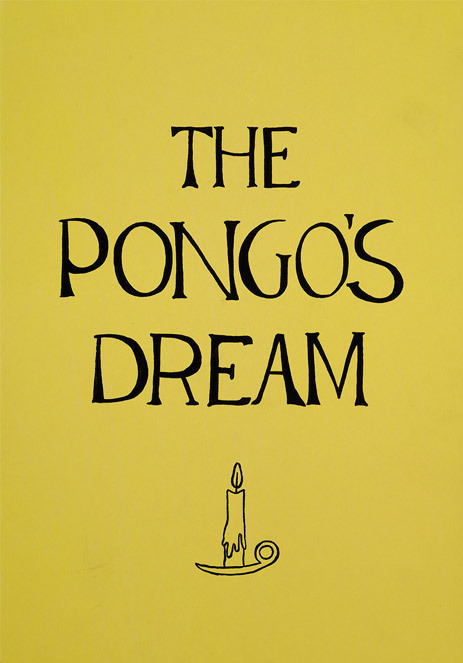 The Pongo’s Dream is an illustrated artist book by Melissa Huddleston and Benjamin Lord. 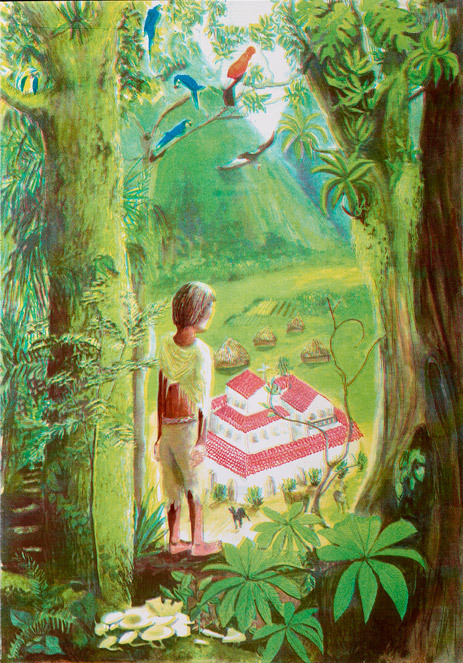 The text of the book is adapted from a short story in a pamphlet first published by the Peruvian novelist and anthropologist Jose Maria Arguedas in the mid 1960s. 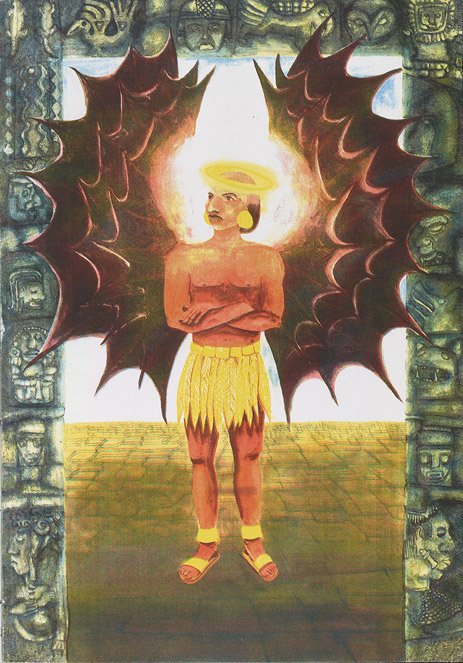 Arguedas’s tale is an barbed yet ambiguous allegory of colonialism, landscape, religion, race, power, and revenge. 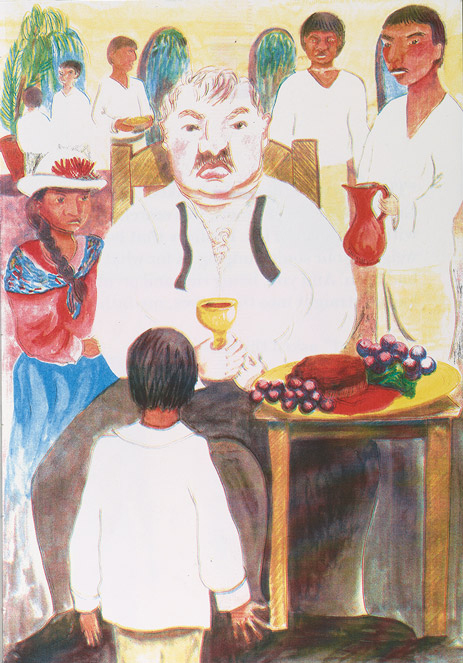 While the story is well known across Latin America, it is virtually unknown in the United States. Huddleston’s lush, inventive paint-on-paper illustrations reinvent the still-urgent questions the book raises, while lending them a boldly contemporary dimension. Her approach to characterization, landscape, and narrative timing draw from the traditions of children’s book illustration and the early modern inventions of the livre d’artiste, with the witty flourish characteristic of her painting practice. 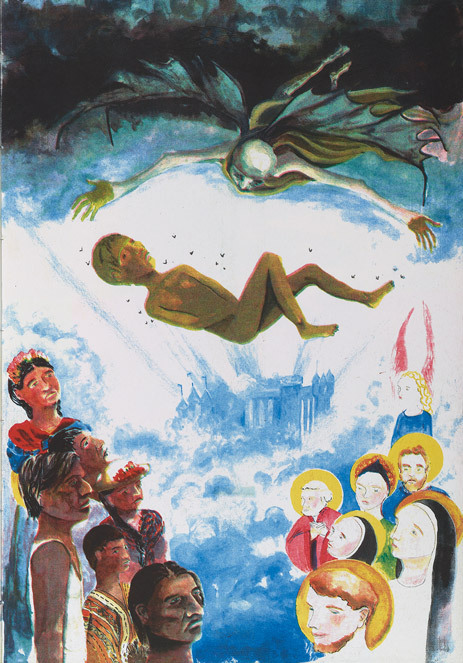 Two years in production, the book is an oversize 14″ x 10″ softcover, lushly printed on a RISO printer, using 88 separate passes of color, in an edition of 100, in a slightly misregistered style that evokes religious tracts, non-profit pamphlets, early comics, and crude printing from the developing world. 32 pages. Hand-assembled perfect binding.